Long days at work are relieved with Aces Sports Lounge and Patio, the ideal sports bar in Brooklyn with a bird’s eye view of both our ice skating rinks, field house, and Main Street. Aces has 8 TVs and EVERY game available create the ultimate viewing experience for visitors and regulars. Our new and improved menus options feature bar favorites like wings, burgers, and fries alongside healthier alternatives like salads. All this is courtesy of Legends Hospitality, who have contracts with Yankee and Angel Stadium. Downtime never feels down with Aces Lounge, in between recreational activities and events are opportunities to mingle, linger about, or celebrate your big victory of the night. The best part is, you won’t have to stray too far from any of the excitement with two locations within the building. In the colder months, the sports bar is open on the mezzanine level, a cozy joint with every seating arrangement available from bar seats, tables, and couches. In the warmer months, we take it outside with Aces Patio outdoor sports bar with a completely different atmosphere. Headlining Aces Patio is outdoor open basketball, bocce ball, and shuffleboard. 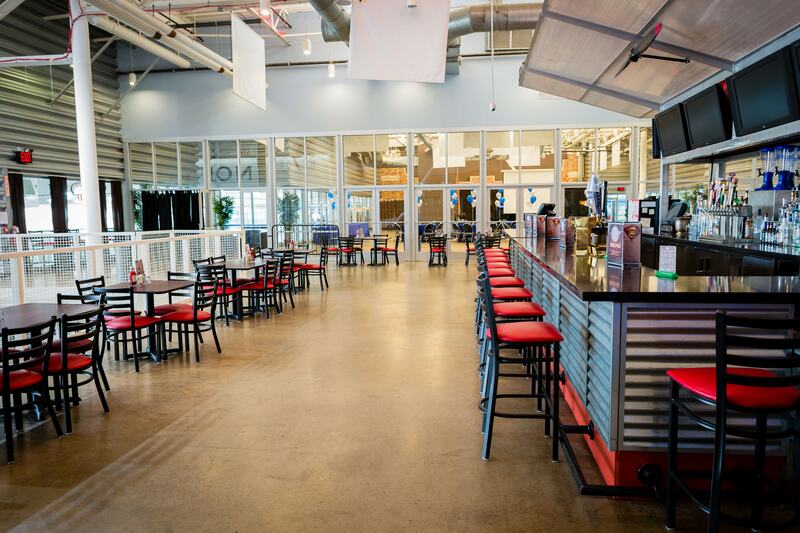 Both sports bar areas are available for rental for parties and special events or corporate events and group outings. Just before the fall, we have special fantasy football packages available for your league. Friday: 5 p.m. – 11 p.m.